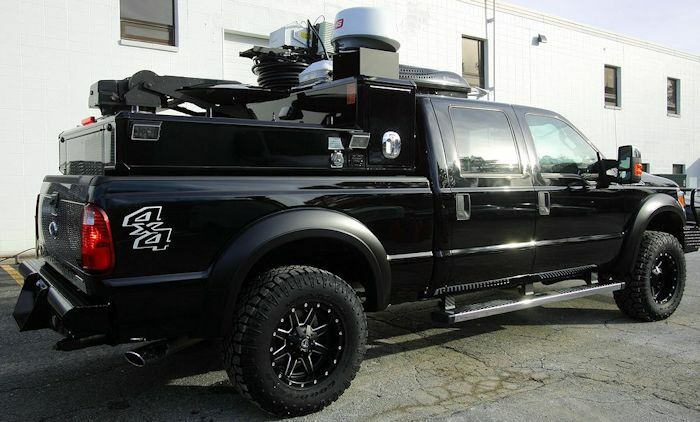 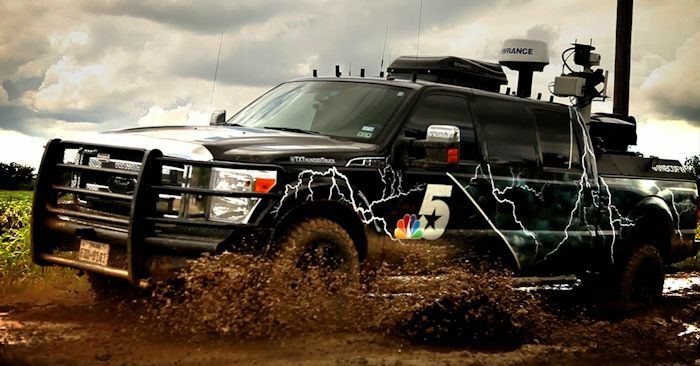 Heavy Duty Pickup trucks make for nearly indestructible News Trucks! 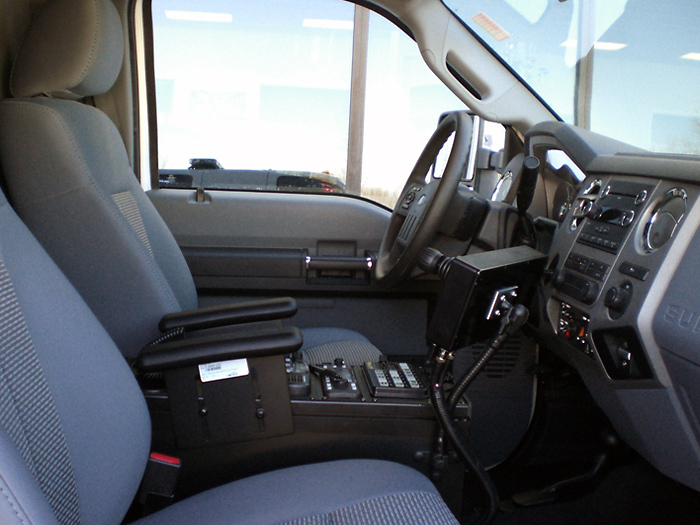 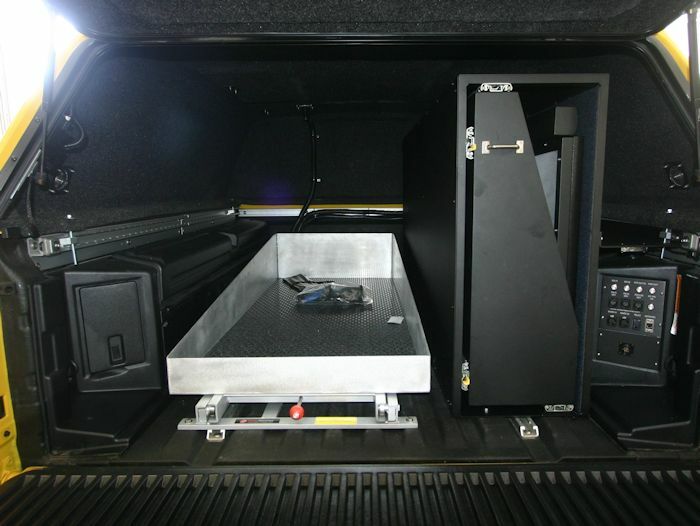 Offerred in a variety of configurations from mild to wild, AMT's OEM approved stretch versions offer the ability to add 60 full rack units of engineered space with six-passenger comfort. 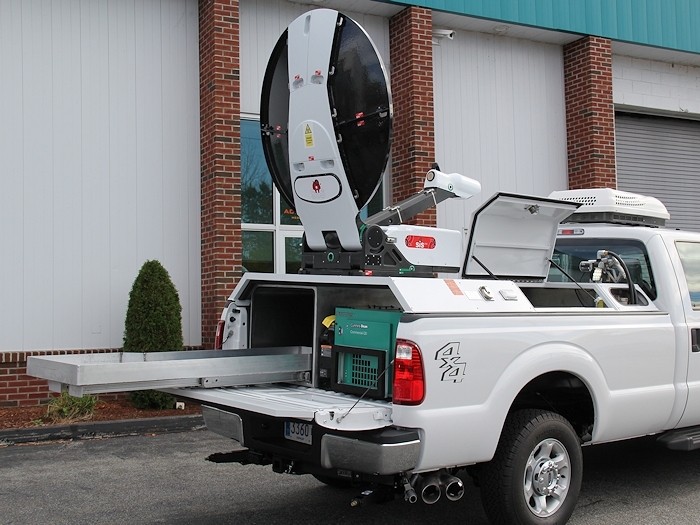 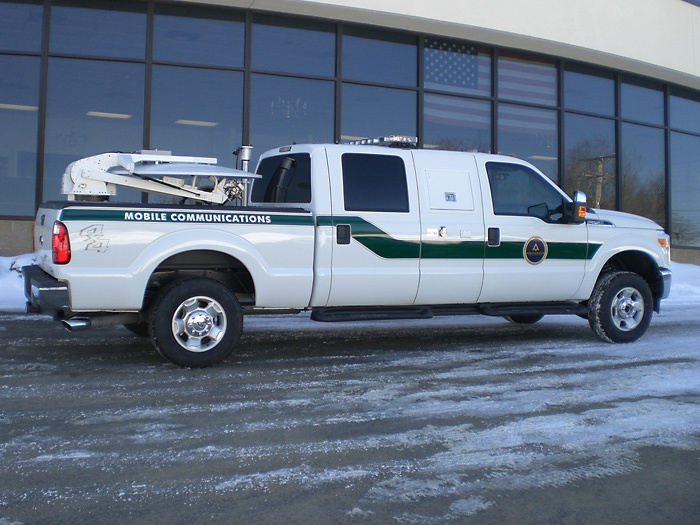 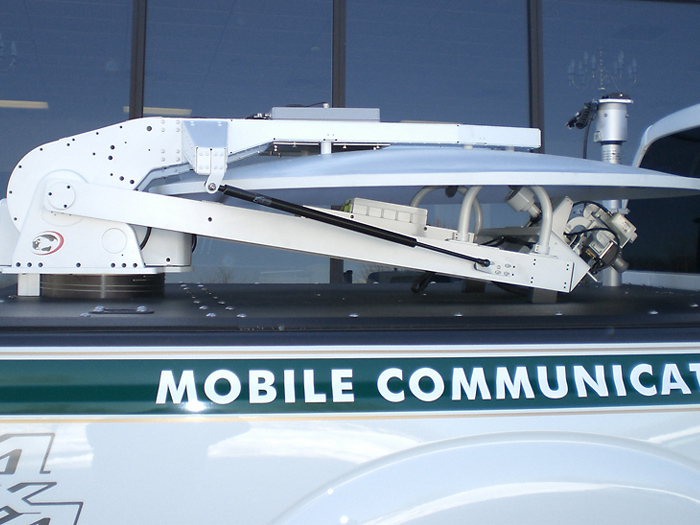 The pickup bed is a perfect solution for masts up to 42' or antennas up to 1.5m while maintaining a super low profile. 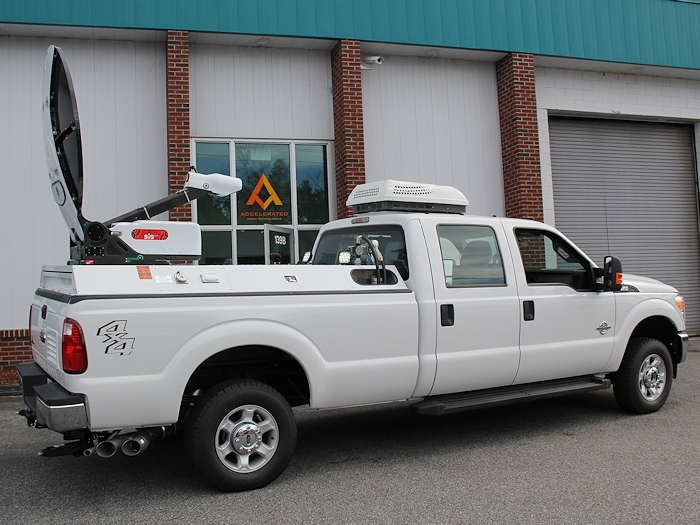 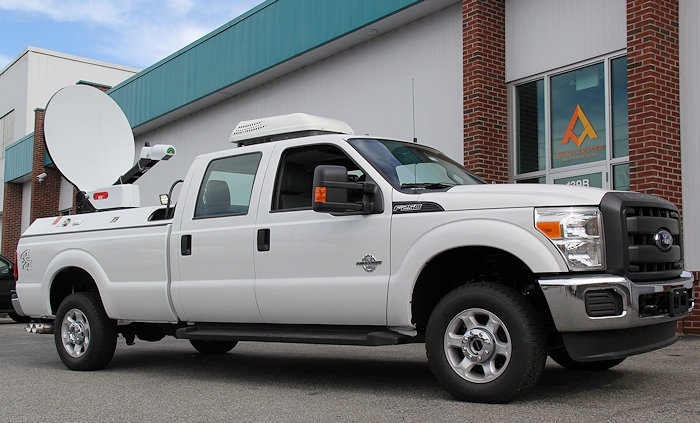 Available in multiple platforms from Ford, GM, Nissan and Toyota that include; 4x2 or 4x4, gas or diesel engines, short box or extended, all with 14,000 lbs of conventional towing capacity! 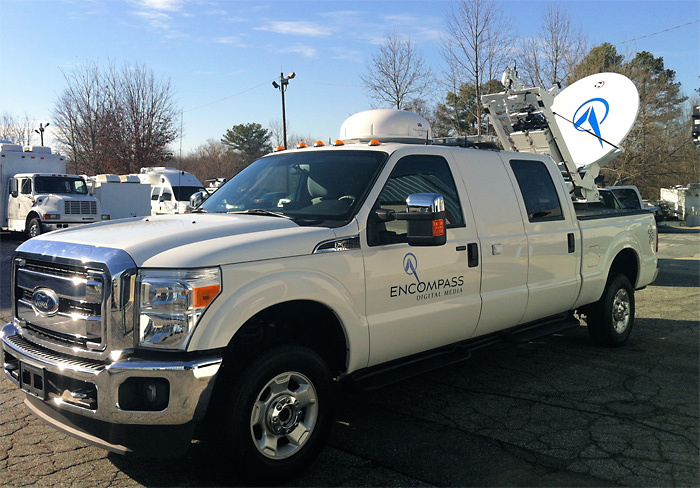 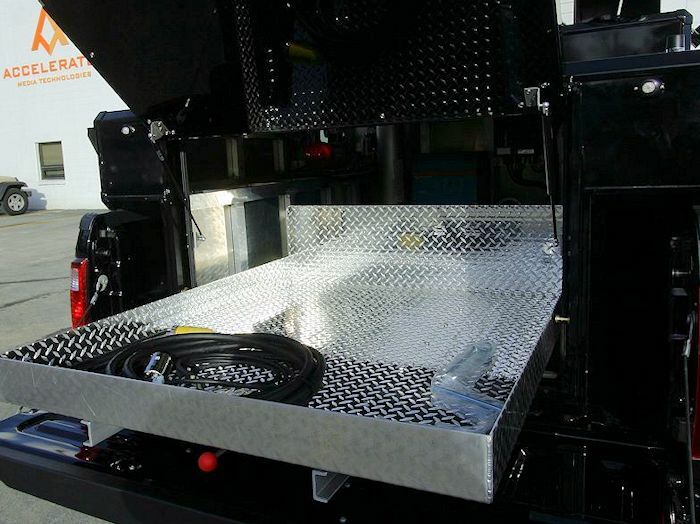 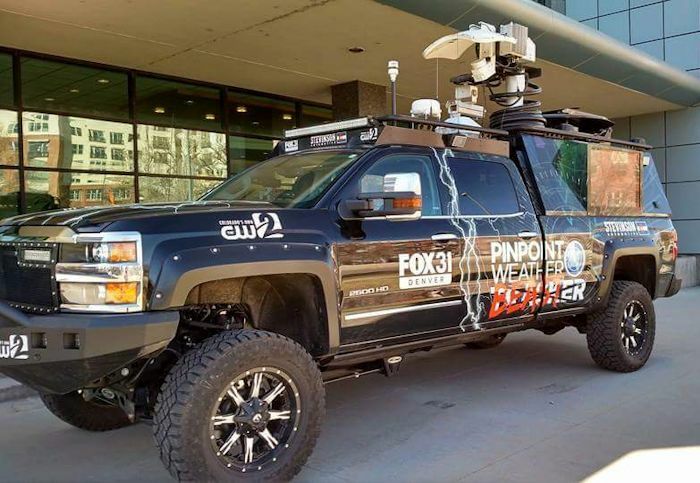 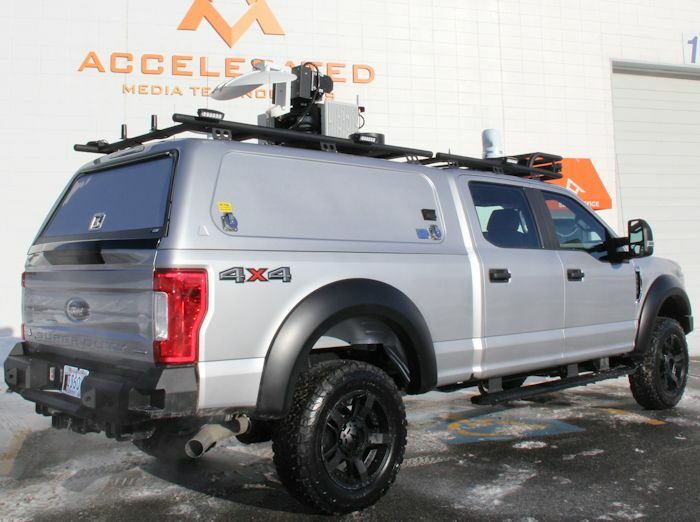 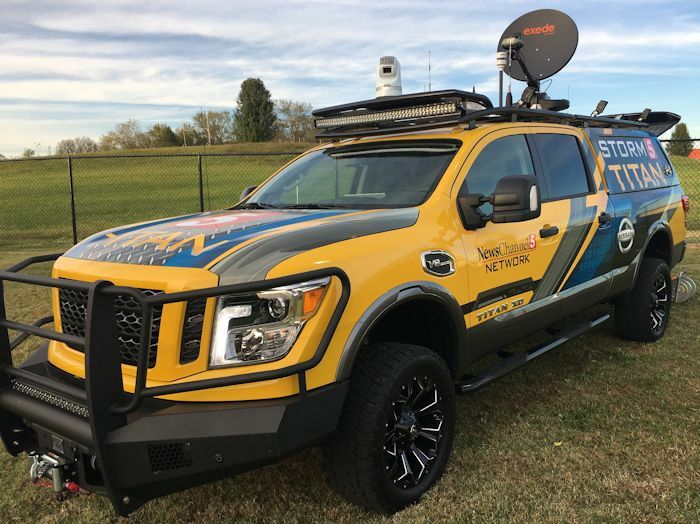 Pickup Truck solutions are perfect for broadcasters in tough terrain or with low clearance requirements due to its low profile and unmatched stability, durability and performance. 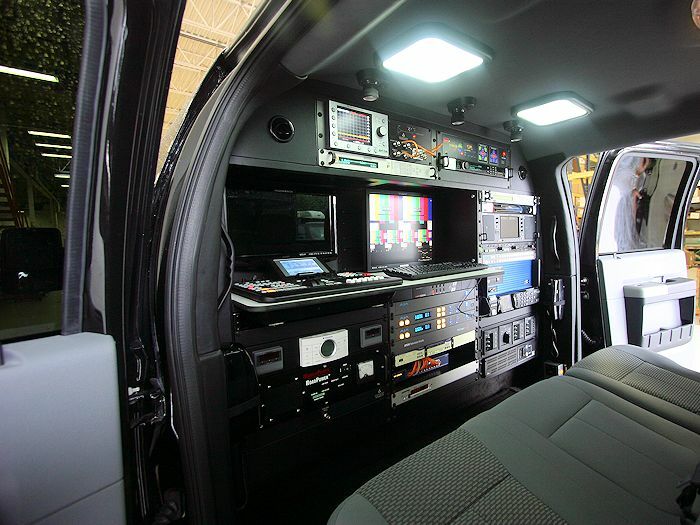 AMT can create a custom and agressive look for your station! 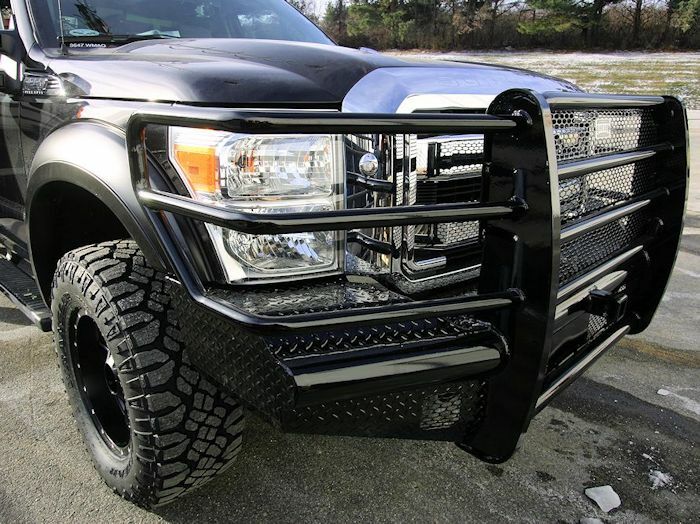 Available on Ford, Chevy, Dodge and Nissan Trucks! 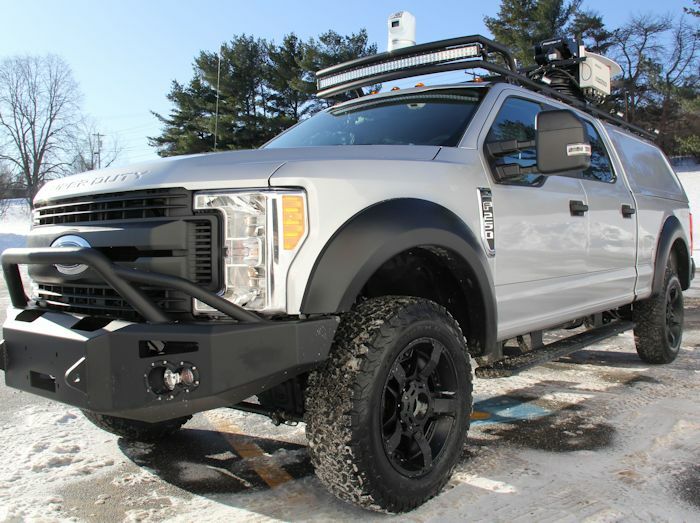 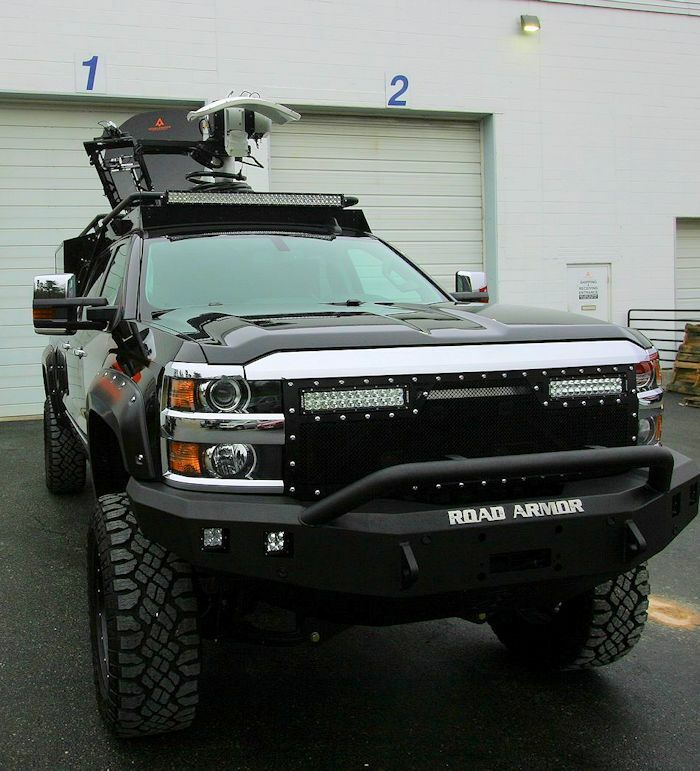 Lifts, Custom Bumpers, Custom Rack Assembles with Light-Bars, Winches? 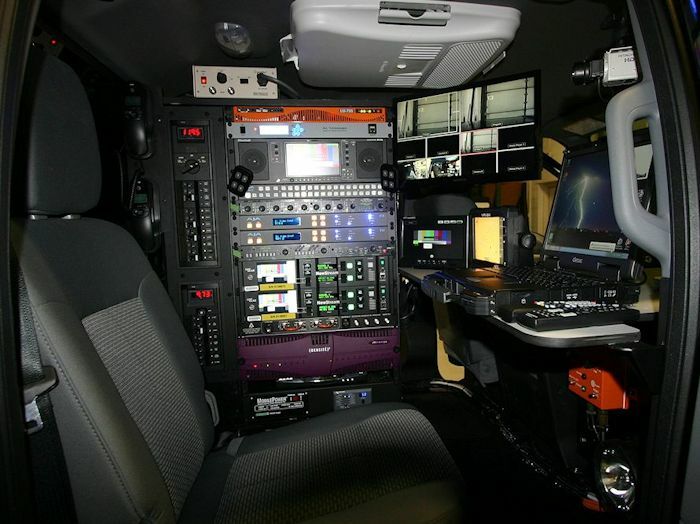 AMT does it all! 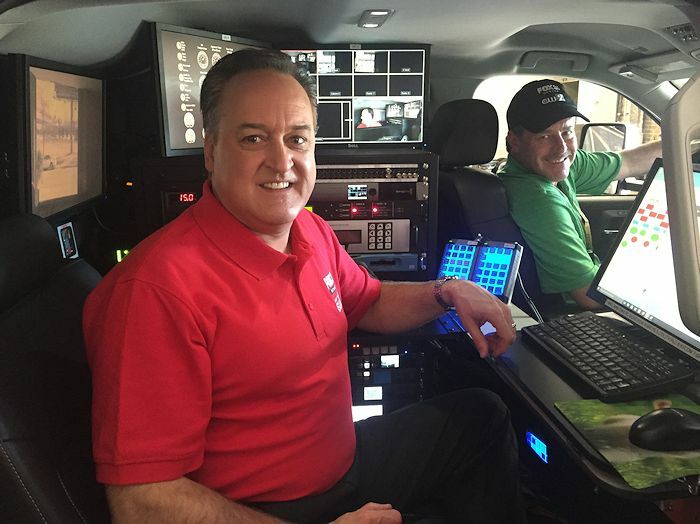 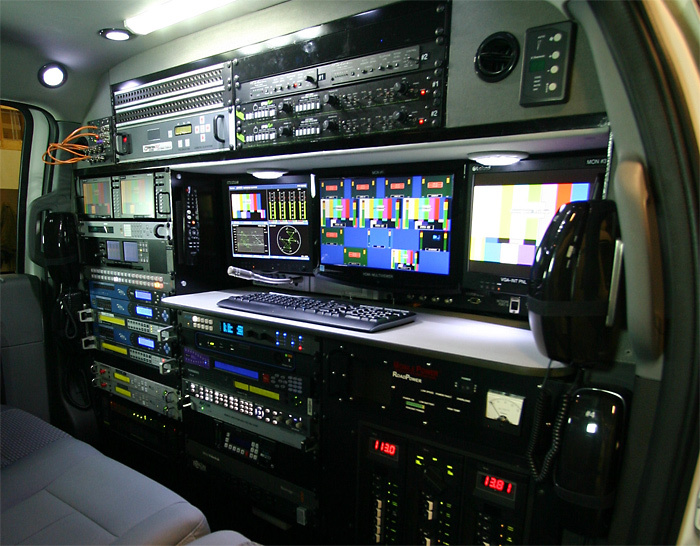 Integrated Mobile Control Rooms for Live Broadcast! 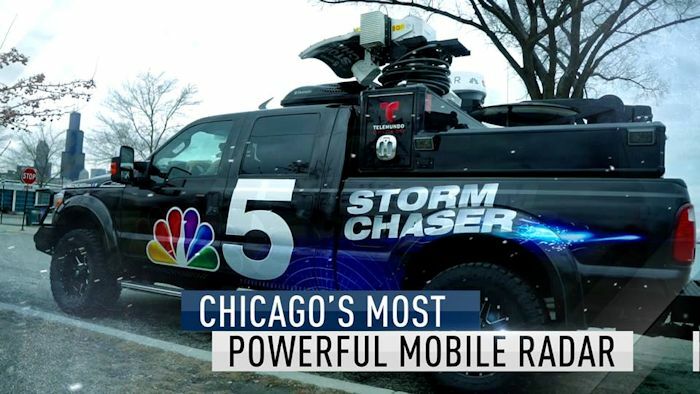 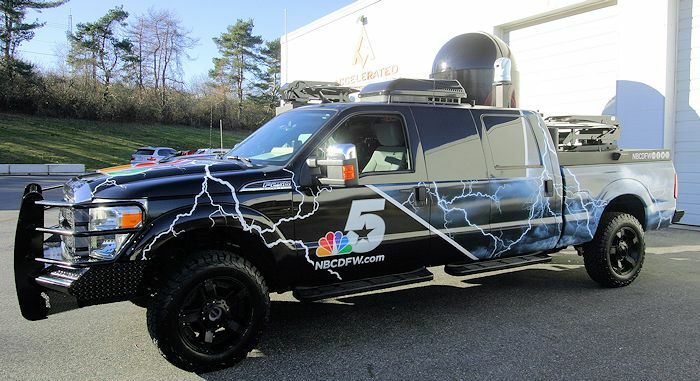 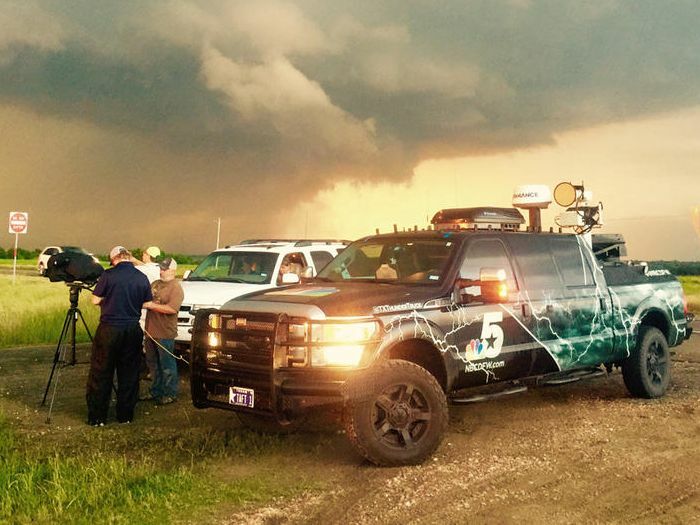 AMT Weather Chasers take you right to the storm! 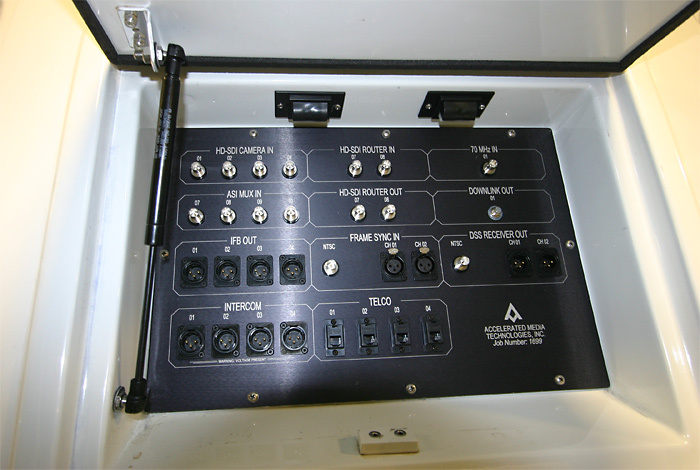 Completely Customized Storage and Generator Options!